As a business owner, you’re dedicated to improving the management of your business. Running a successful business like fitness center can be daunting and time-consuming. Investing your productive hours on manual management and administration can out you into potential loss. Keeping all these concerns of business owners, Shrivra decided to develop certain solutions that could help them in simplifying their management and administration tasks. Say No to hefty business operations and management! With Shrivra, managing your business becomes seamless and effortless. Whether you are a gym owner or run a fitness center or owns a coaching center, we have the ultimate solution for you! Our exclusive suite of these trios offers business owners the ease to run their business smoothly and manage their members in a way to enjoy long-lasting happy relationships. With our management tools, business owners can save their hours per week on administrative tasks. 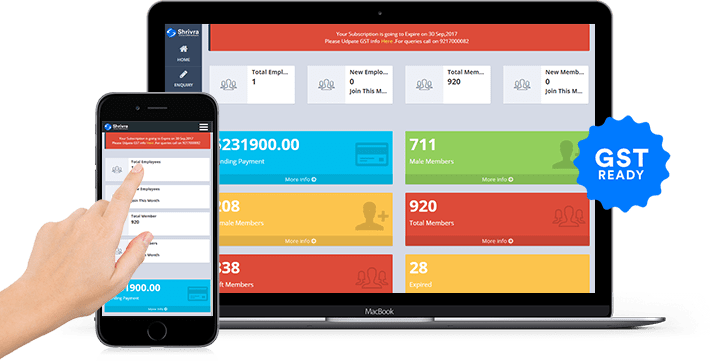 Shivra allows you to get back to building relationships with your members and growing your business. Whether it’s managing your daily tasks, or sending payment or membership reminders or sending greetings or exam schedules, Shrivra offers it all under one roof. Simply, house Shrivra in your smart devices and free your valuable time for making your business better.